This subject of damping extends to musical gestalt. Sitting very close to stage nets a fast energetic very direct highly dynamic sound. This suffers little to no alteration from venue acoustics. The farther away one sits, the more venue acoustics dominate to introduce reflective reverb aka hall sound. This nonlinear skewing adds fuzz and softness by lengthening decays. It creates connective tissue as new stuff between notes. Sounds overlay, blend, intermix and cast half shadows. Timbres get richer but separation and dynamics diminish. So do transient heat and timing accuracy. That's why marching bands don't belong in a church. If you think on it, this makes for three dimensions where more or less damping figures. First we have recorded ambiance. This could range from very dry to very wet. It includes actual venue sound, artificial reverb and microphone placement effects. Second comes the playback venue. That's the sound of our own room. 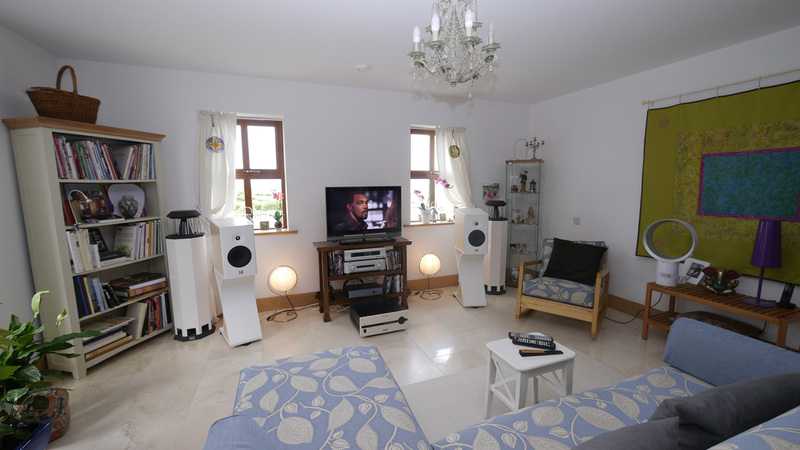 Third there's the interaction of our hifi hardware. That too moves a slider on the "more leading edge or more trailing fades" axis. Obviously #2 and #3 have nothing whatever to do with the recording. They're side effects of reality. Only idealists talk of pure windows on their recording. For the rest of us, it's a meaningless abstraction. 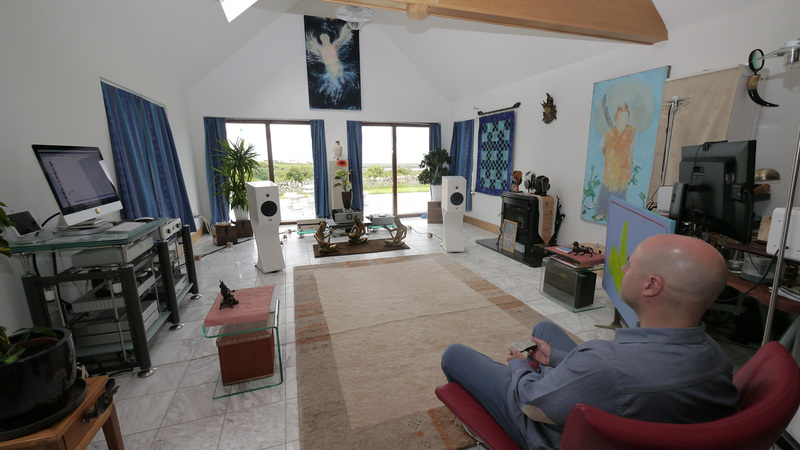 Even the purists cannot eliminate the sound of their room and system as two big filters and changers on what was recorded. Once we drop the chastity belt of unachievable ideals, playback becomes co-creative. Our choices on gear/setup are a self expression to generate the type experience we find most compelling. There's no right or wrong. Playback, sitting behind the studio mixing console and live music are three very different states. The first is ours to shape as we please. If we favour a central front-row musical perspective, we'll want more damped dry acoustics in our playback room; perhaps sit closer to the speakers and toe them in sharply to minimize room interactions; and probably fancy high damping factors and electronics with maximal speed and clarity. If we favour a front-row balcony seat instead as more of a bird's eye view on the musical action, we'll want more lively reflective acoustics; perhaps sit farther away, with speakers pointing straight ahead; and perhaps appreciate lower damping factors and electronics which prioritize decays and tone. It shouldn't surprise that classical listeners with regular concert attendance often favour that. It's closer to their live reference. Talking in generalities, the first listener will often prefer solid state whilst the second ends up with tubes somewhere in the signal path. On specs, the White Knight belongs to the first group. On gestation and design genetics, one expects influence from the second camp. Where would it move our slider? 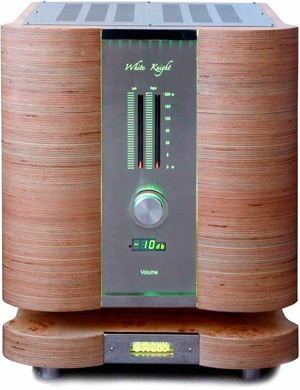 * To document the negative effect of overdamping, refer to Frank Hakopians' review of the Ichos Schallwandler N°Two speaker, a 99dB rear horn-loaded 12-inch widebander with compression-loaded tweeter. His favoured solid-state muscle amp by AudioNet plus a high-power Devialet D-Premier both failed to make good sound. Costly Tenor OTL tube monos rewrote that page as did a small 12wpc Unison Research triode amp. If you still subscribe to the one-size-fits-all propaganda of extreme damping factors, this should make you rethink it. Delivery of a wooden crate inside a bigger white-painted wooden crate separated by beaucoup styro pellets was uneventful. The White Knight emerged undamaged from its liner. With another assignment in the final stages in the big system, it first went into our entertainment room. Here a pair of Kroma Audio Julieta super monitors were beginning to acclimate their internal wooden parts to our far mellower lusher milieu over Granada's hot and dry summer where they'd come from. In this particular hardware context, insertion of the White Knight caused a strong ground loop where with the Job 225 amp, there'd been none. My lazy fallback for the few days it'd be here was to run it off the Esoteric C03 preamp not direct but line-level, opening its own volume control to just 12:00. This attenuated the hum to near inaudibility. If I had a reoccurrence in the main system, I'd have to systematically lift various grounds by figuring out wherever I had stored away the cheater plugs after our recent rather massive move to Ireland. For break-in purposes however, this setup was just fine to put some 50 hours of calisthenics on the speakers and amp alike. An immediate observation to make was that replacing the Job 225 clearly stepped down quicksilvery lucidity and speed and upped tonal weight and a slightly more languorous mien instead. Given that the cabling here was solid-core pure silver Ocellia inside a crushed crystal sleeve; and that the synthetic stone speakers reduce typical box-talk fuzz to very audible degrees... this shift on the attack/decay axis into the second half was attractive and without an undue loss in apparent resolution though step down it did. Once in the big system, the ground loop vanished as expected for proverbial grave-like silence. Not even the on-tweeter ear could make out any operational self noise. In this space, the White Knight would compete against the $6'500 Pass Labs XA30.9 and $3'000 FirstWatt F7.